BAD WEEDS SAN FRANCISCO: Bad Weeds 189: Liar Liar his Bush is on Fire! Bad Weeds 189: Liar Liar his Bush is on Fire! 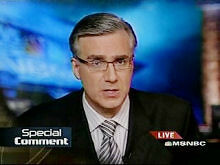 Bush is a BIG FAT LIAR and NBC anchor Keith Olbermann spells it out for us! Truth in journalism -- for a change! Liar Liar Bush is on Fire! Bad Weeds 187: Opening Night!